The Titanic is a historical website that surrounds one of the largest moving man-made objects of all time, the “unsinkable” RMS Titanic. The website immerses you into the experience that is the Titanic, providing a timeline of events, information about the ship, passengers onboard, the iceberg, and the aftermath. It also provides information on notable survivors, footage of underwater exploration at the Titanic’s wreckage site, and a reflection from survivor Eva Hart about her experience aboard the vessel. 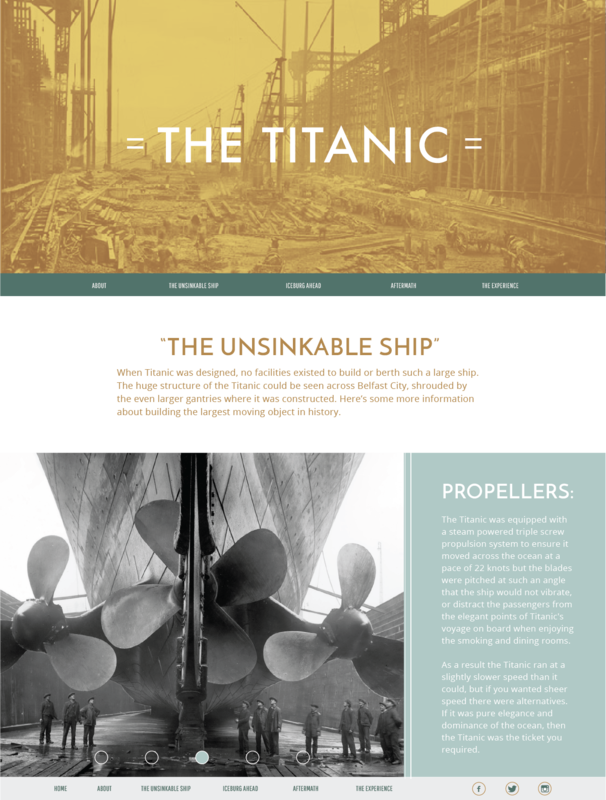 The Titanic website is hand coded, using HTML and CSS.